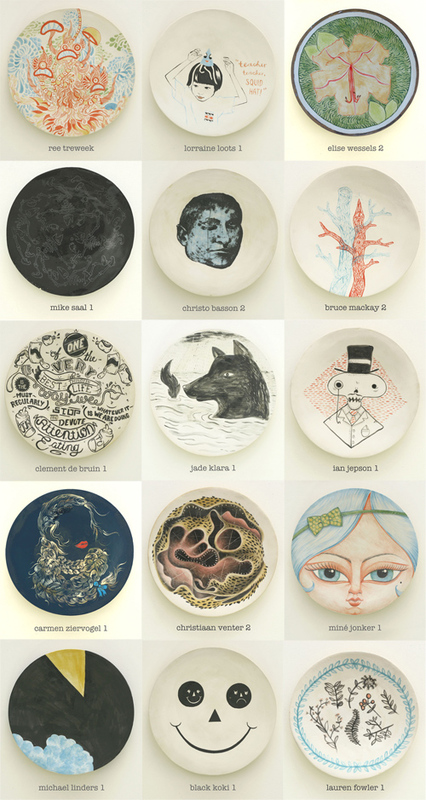 Royale Eatery in Cape Town is hosting a marvelous exhibition curated by illustrator and ceramics artist Elise Wessels called “CHAMPAGNE for my real friends”. 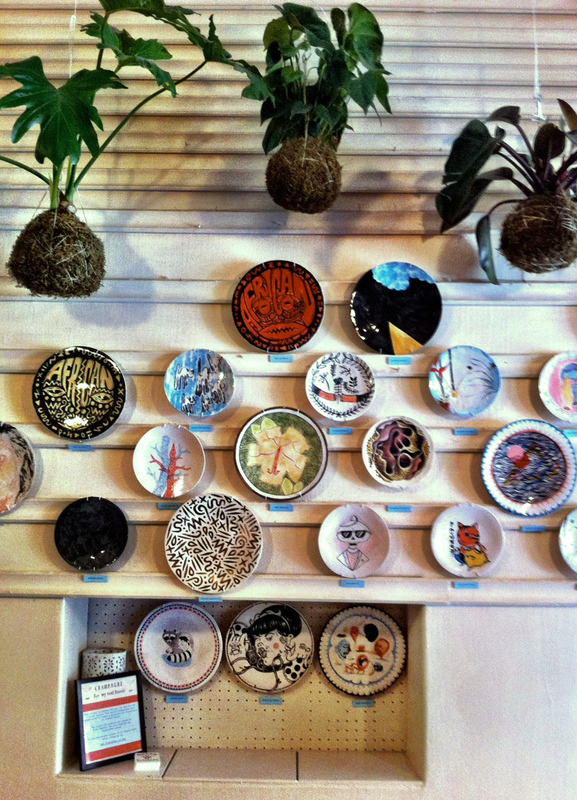 27 artists were handed 2 handcrafted plates each, for them to decorate the plates with their own designs and concepts. Elise then collected the plates from them to glaze and fire them. Most of the artists have never worked with ceramics before, and the results are sometimes surprising, but above all astoundingly beautiful. 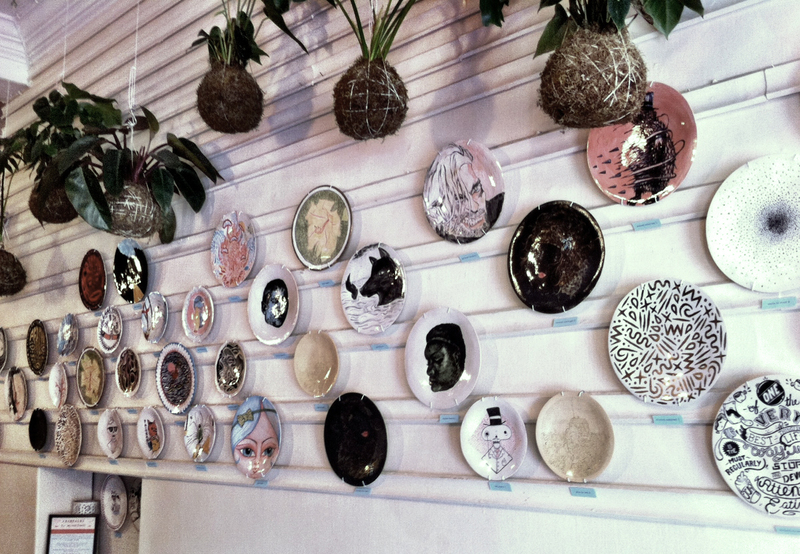 The exhibition is on until 11 January 2013, so do yourself a favor and drop in to see their handiwork. Click here for more information on the exhibition, the artists and to view Elise Wessels portfolio.